Check what do you eat regularly from the following lists and find what are missing in your diet; then correct the deficiency before you get sick. If you are in a hurry, check those nutrients with fewer lines first as they are the most scarce and more frequently missed. Those with plenty of sources have less chances of being low in your diet. It is strongly recommended to take foods instead of manufactured supplements; and limit the use of manufactured supplements to where your diet is deficient and you cannot correct it fast enough to meet the urgent needs of your body and health. (Foods are best sources of nutrients; while manufactured supplements are late second). 1- What foods provide biotin? Swiss chard is a good source of biotin. 2- What foods provide calcium? Excellent sources of calcium include spinach, turnip greens, mustard greens, collard greens and tofu. Very good sources of calcium include blackstrap molasses, Swiss chard, yogurt, kale, mozzarella cheese, cow’s milk, and goat’s milk. Basil, thyme, dill seed, oregano, and cinnamon are also very good sources of calcium. Good sources of calcium include romaine lettuce, celery, broccoli, sesame seeds, fennel, cabbage, summer squash, green beans, garlic, Brussel sprouts, oranges, asparagus, leeks and crimini mushrooms. Rosemary, cumin seeds, cloves, coriander seeds, scallops, and kelp (a sea vegetable) are also good sources of calcium. 3- What foods provide choline? The richest source of choline found in the U.S. diet comes not from a food, but from an additive called lecithin (phosphytidylcholine). Lecithin is most often added to foods as an emulsifier, that is, a substance that helps keeps food components blended together. Most of the lecithin in the U.S. food supply is derived from soybeans. Although insufficient scientific research is available to precisely classify food sources of choline according to an “excellent, very good, and good” rating system, food sources of choline include: soybeans and soybean products, egg yolk (the word “lecithin,” comes from the Greek word lekithos meaning “egg yolk”), butter, peanuts and peanut butter, potatoes, cauliflower, tomatoes, banana, milk, oranges, lentils, oats, barley, corn, sesame seeds, flax seeds, and whole wheat bread. Many of these foods contain not only choline itself, but also other forms of the vitamin including lecithin (phosphatidylcholine) and sphingomyelin. Ginseng root (Panax ginseng, also called American Ginseng) is also a source of choline. 4- What foods provide chromium? Although chromium occurs naturally in a wide variety of foods, many foods contain only 1 or 2 micrograms (mcg) of chromium per serving. In addition, food processing methods often remove the naturally occurring chromium. As a result, obtaining a sufficient amount of chromium in the diet can be difficult. Furthermore, determining the chromium content of foods is problematic due to inadequate analytical tools. Consequently, currently available food composition databases do not contain accurate information about the amount of chromium found in various foods. While our food rating system qualified romaine lettuce as an excellent source of chromium and onions and tomatoes as very good sources, the following foods are also believed to provide a significant amount of chromium: brewer’s yeast, oysters, liver, whole grains, bran cereals, and potatoes. Beer and wine can accumulate chromium during fermentation and are therefore considered to be dietary sources of the mineral. Beside massive scale western plunder and state official corruption, the causes of poverty and sickening economy are the low qualities of manual and “skilled” workers in many underdeveloped countries. They got no tools; have flimsy experience; illiterate; cheats; liars; careless; vulgar; tricky; destructive; stupid; and fake. People better avoid owning a lot of stuff or properties that will make them in need for those trouble makers. I hate the day when one of these access my property and pretend to do repairs and improvements. I better get rid of that thing or not to have at all. I hate to have a house; business; car; or appliances here! If I cannot do it myself then to hell with it. They cause headache and stress; and of course take your money without any good reason. It is natural, nutritious and healthy. Yeast is a globally recognized safe food. The yeast industry is a major market, grossing several billion dollars per year. Nutritional Yeast powder is an excellent source of protein, dietary fiber, vitamins and minerals. Best nutritional yeast comes from pure strains of Saccharomyces cerevisiae grown on sugar cane molasses. After the fermentation process is completed the yeast is harvested, thoroughly washed, pasterurized, and spray dried. As the raw materials of functional foods, such as foods fortifying the immunity, weight-losing foods and anti-aging foods. Source: Nutritional Yeast Powder, AngelYeast Co.
●About 4000 years ago ancient Egyptians used yeast to make bread. Archaeologists exploring Egyptian heritage sites found early grinding stones and baking chambers for making yeasted bread as well as drawings of 4000-year-old bakeries and breweries. ●In 1680 Dutchman Antonie van Leeuwenhoek observed yeast under a microscope for the first time. ●In the 19th century French scientist Pasteur discovered that yeast plays an important role in brewing alcohol. 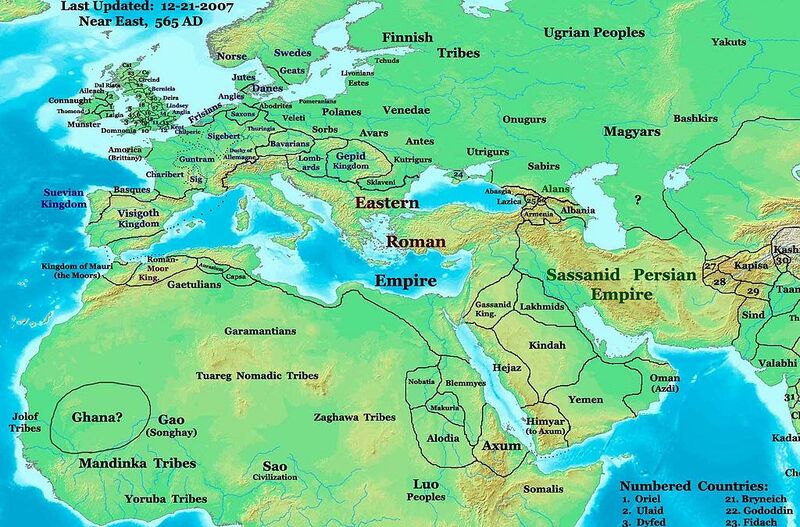 ●In 1846 the first industrialized production of yeast began in Europe. 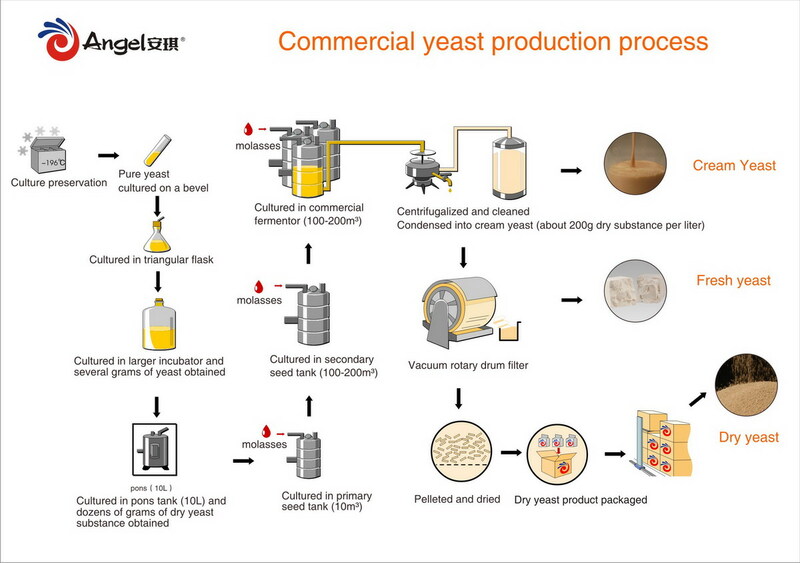 ●In the mid-1980s modernized production of yeast began in China. How to increase the number and size of privately owned businesses? How to develop private business share nationally and locally? How to improve success rate in the private sector? How to turn and train ordinary individuals to become more productive? How to assist micro; small and medium entrepreneurs to grow and survive? The suggestion here is the introduction of new line of business. It shall create micro; small and medium-sized businesses then sell it and train the new owners. It shall serve people who have capital and ambitions but lack the know-how. It shall also provide research and development services for existing or emerging businesses. All people don’t need to climb the ladder from the very bottom. Create and sell the businesses themselves not just the products and services they produce. Such new line of business shall increase the number and volume of businesses paying taxes to the treasury; therefore, it must get tax exemptions and subsidies. Businesses Creation shall be either a non-profitable organization; privately or publicly owned company; or a government-owned corporation. Mocality is a three-year-old startup owned by South African-based emerging market internet giant, Naspers — an US$18-billion company that has stakes in Facebook, Tencent and mail.ru — and many other emerging market internet properties dotted around the world. If Google wanted to work with our data, why didn’t they just ask? — In discussions with various Google Kenya/Africa folks in the past, I’d raised the idea of working together more closely in Kenya. Getting Kenyan businesses online is precisely what we do. In addition, Google Sub-Sahara Africa head Joe Mucheru also called Mocality CEO Stefan Magdalinski to offer his personal regrets with regards to the unfortunate turn of events. The embarrassing fiasco comes hot on the heels of another instance where another company contracted to increase the page ranking for Google Chrome resorted to black hat tactics that left Google in the uncomfortable position of having to discipline themselves for contravening their own Search Engine guidelines. One thing is for sure, Google hasn’t had a great 2012. It started out with the paid links controversy surrounding a Google Chrome ad campaign. Google ended up penalizing the Google Chrome page and demoting it in the search results. Next came the whole Search Plus debacle and now this.